No second piece in the world like this gorgeous Jhoomar Series which is remarkably woven in best quality wool and cotton with an amazing design pattern in vibrant colors. This is ideal for the hall way and bedside in a bedroom. Stunning and “One of a kind”. The Jhoomar Series is a “one of its kind” and has been intricately crafted by our skilled artisans and has a unique design pattern. 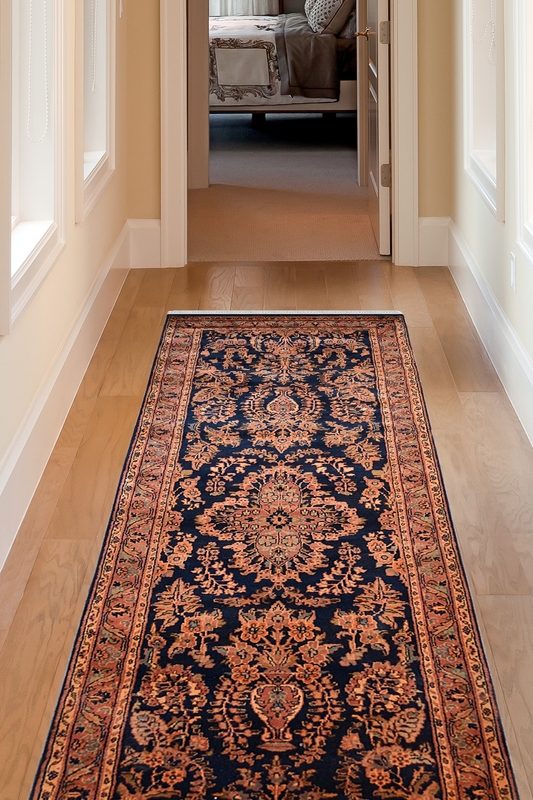 The ground contains the series of jhoomar pattern with beautiful border design. The center of this runner is eye-catching. You can also use it for the wall hanging or can make it as a focal point of your floor. This is totally handcrafted in Pure New Zealand wool and cotton material.